When Jason and I were first married we set some "rules" that we were going to live by. One was that we would never sleep on the couch or somewhere else if we were angry, and the other was that we would never use the word "divorce" as an option. I even wrote them down in my journal. For our entire marriage we lived by those rules. Oh, there were times when we would have to go in the other room to cool off, but we never slept apart when we were upset. I never, ever dreamed that divorce would ever be something I would deal with. Ever. How ironic that the one word we never used would become my new reality. Somedays, I feel like I walk around with my own scarlet letter - a giant "D" for the entire world to see. I feel like anyone can see it or sense it when I walk by, like they must magically know that I'm divorced. Although I know that no one else sees it or thinks that, I do. It's something I'm going to have to work through on my own and I'm going to have to accept the changes that have come to my life. I'm working on it. I feel like this all happened so fast. I found out on the 21st of June. I found out I was pregnant. He moved out a few days later. We filed for divorce in August, the same day I found out I was having twins. None of it ever really felt real. It was like I was living a dream and at some point it would all be over and life would go back to normal. When things started to wrap up with our divorce paperwork, part of me started to panic. He hadn't changed his mind yet.... was he really going to do this? Surely not. Right? At some point he would realize that his 3 little kids and his wife - pregnant with his twins - were worth it and he would come back to us......right? The more I began to panic the more angry and emotional I became. Please, Heavenly Father....please don't let this happen. Please give me a miracle. Please don't let this happen to my sweet family! It happened anyways. He let me know the day he was going in to sign the papers. I was devastated. I packed my bags and headed to Utah to spend some time with some friends and to go to a conference (more about that later). I needed to get out of the town that we called home. I needed to get away from the office where he was going to sign away our family. I needed some space to breathe...I needed air....I needed something. Every time we would drive to Utah, we would always pass landmarks from our wedding. The hotel we stayed in, the IHOP where we had our first breakfast as a married couple, the Target that we roamed through the night before our wedding, and finally the Bountiful Temple. It had always been fun to point them out before and we ALWAYS did. This time, driving past each one of those landmarks was painful. It hurt. The tears started coming and then the anger started. Finally, up ahead, the temple sat on the hill. I had gotten so used to watching it as we would drive through that my eyes couldn't stray from it. I watched it as I drove. This place of peace and happiness was a reminder to me of a life lost and a marriage gone. Then, as if on queue, my phone went off. I glanced down to see, "Papers signed." I sobbed. Angels must have taken over the wheel because I sobbed. He signed the papers as I was staring at the temple we promised each other forever in. The next week I knew I had to go in and sign. I didn't want to. It felt so wrong to me. I didn't want to be divorced, I didn't want to break up my family or my marriage, and I didn't agree with what was happening. I knew I needed to get it over with, but I didn't know if I was strong enough to actually do it. I decided to take my kids with me. It was a last minute decision, but I thought that maybe it would help me get it, sign, and leave quickly - all with a distraction. I loaded them up and made the drive to my attorney's office. The entire way there I kept telling myself that I could do this, it was just one more step in the process, it was just a signature. We walked in and they took us into the conference room where I had sat so many times working through the paperwork with my attorney. The kids explored the room and I stood staring at the vase of flowers in the middle of the table, giving myself the same pep talk I had all morning. My attorney's assistant came in with the paperwork and set it on the table in front of me. I flipped through each page until I found the page with our signatures. When I turned the page over and saw his signature on the line above his name - staring at me in blue ink - all strength I had found that morning left and I lost it. I couldn't hold back the tears and they spilled over. Poor Debbie watched as I struggled to even lift the pen. I stared at his signature - the same signature I had grown to love over the last 7 years - the same signature I saw so many times - was now on a document saying that he didn't want me or our life together anymore. There it was for all the world to see...his signature in bright blue ink, like a seal on every insecurity I had developed over the last few months. I wasn't enough. He didn't love me. He didn't want me. He didn't want our life or our little family anymore. He didn't care about my dreams or my future. He would rather be with someone else, anyone else. I wasn't worth it. He was done with me. I finally found the strength to add my signature to the page and set the pen back down on the table. I looked at Debbie for the first time since I had found his signature and saw the understanding in her eyes. Then I sobbed - face in my hands, shoulders shaking, uncontrollably consuming - I cried. It was at that point that Carson and Brooklyn realized that something was going on and came to my side. It's pretty sad when your kids become so used to you crying that they don't ask you why anymore. They just hugged my legs and looked up at me with concern on their innocent little faces. It was enough to break me from my grief and compose myself to leave. 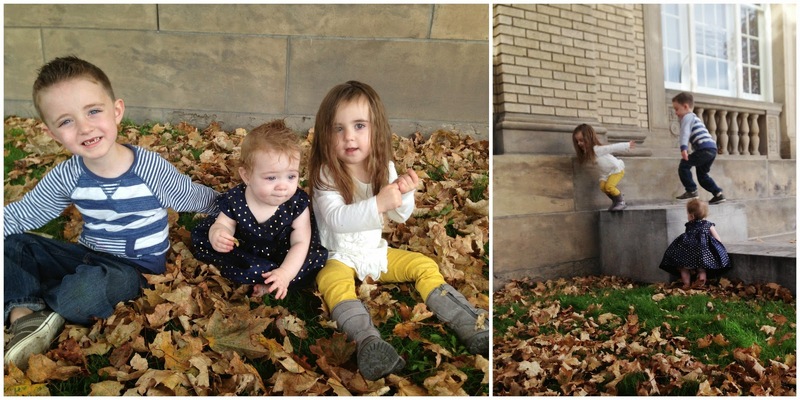 As we walked out the doors, the kids saw a bunch of leaves and ran over to the pile to play in them. I sat down on the steps and let them play for a few minutes while I gained my composure. I watched them play and my heart ached for them. They were so innocent. They had no idea, as they jumped in the leaves, that I had just signed papers ending my marriage to their daddy. They had no idea that what had just happened would change their lives forever. They just played and giggled in their innocence. I watched them and ached for all of the challenges and struggles they would have to face because of what just happened in that office. As I sat there watching them, I felt a sweet peace come over me. I wasn't alone on those steps. I realized, as I felt the calming peace come, that my kids would be okay. Just like Heavenly Father had helped me through this and had the confidence that I could do it - He wouldn't leave them either and they were strong enough to handle this. I have always known that I have been blessed with amazing children, and I had no doubt in that moment that they had been prepared for this. I just needed to teach them about the Gospel and about their Savior, and they would make it through this. Just like Heavenly Father had faith in me, I had faith in my children. They were strong. I was strong. Together, we were even stronger. We were going to be ok. We were going to make it. Not without help, but we were going to make it. The judge signed the papers a few days later on the 21st of October, making it official. Exactly 4 months from the day I found out. 4 months - start to finish. It's amazing to me how quickly your entire world can change. When I look back on those 4 months, however, I see other changes that I am grateful for. I have grown in ways that I would have never imagined. My relationship with my Heavenly Father and my Savior are stronger than ever before. Where my trust in one person was shattered, my trust in Them is irreplaceable. I'm growing and becoming someone new. I now know that I can do hard things and I have found a strength that I didn't know existed. 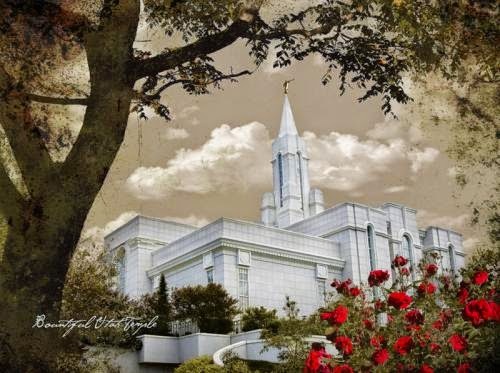 I am learning how to turn things over to my Savior and apply the Atonement in ways that I couldn't have understood before and I am in awe of the love I feel from my Heavenly Father on a daily basis. Right now I feel like I wear my own scarlet letter, but I'm ok with that. Like everything else, I know there will be a source of good that will come of it. I'll get there. One day at a time.